If you have always been a person who has been competitive when playing sports or playing games, then you should know that taking ballroom dancing lessons can help you unleash your competitive side in a whole new way. When you think about ballroom dancing, you might think about it being something that is done for fun or social reasons. Of course, this is the case as well; many people find that they enjoy meeting others and learning something new when taking lessons. However, you can take things to a whole new level with competitive dance. Once you learn the basics of ballroom dancing while working with our instructors, you can then focus on improving and sharpening your skills. 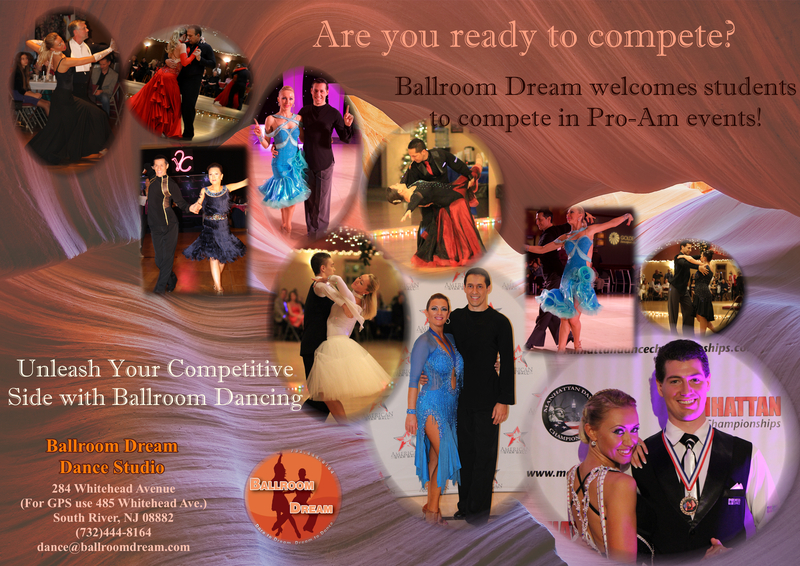 As you improve, you can begin competing in ballroom dancing competitions. This can give you goals to strive for and can help you show off all of your new moves while showing your competitive side. Competing in ballroom dancing competitions can be an exciting and rewarding experience, and it's never too late to get started. Even if you're a total beginner, you can begin taking lessons now with the idea of competitive dance in mind. In the meantime, you'll be able to learn new skills, meet new people and have a whole lot of fun. To do so, of course, you're going to need to find the right instructor. That's where Ballroom Dream Dance Studio comes in. We have world-renowned instructors who have helped their dancers move to the top of the competitive dance world, and we want to help you achieve your goals, too. Contact us if you would like to find out more about this exciting and unique opportunity.